This level has easy difficulty and you just need to use simple technique to complete this level. 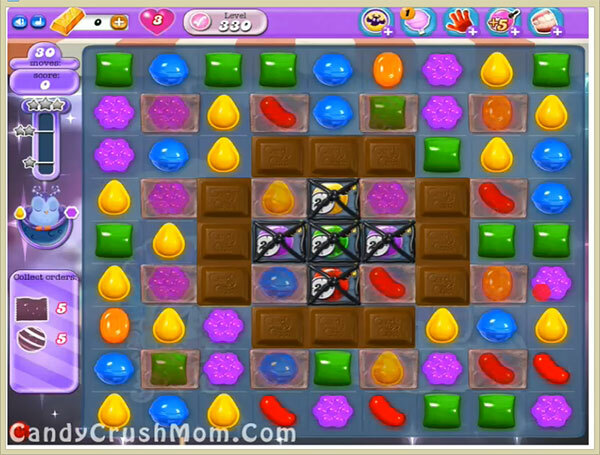 For this level first you should try to break chocolates b playing on center or make striped or wrapped candy. After wait till moon struck and then break special candies one by one to complete all orders. We completed this level with 352600 score using same strategy that we share above and easily complete this level with three star score.